I chose a dandelion metaphor to illustrate the spreading of bitcoin, and bitcoin cash in particular: under-valued, resilient, wild & free. The under-appreciated dandelion “weed” has a bad name. Its useful edible and medicinal qualities are recognized by a subset of folks (eco-friendly gardeners, hipster urban foragers and a few new-age herbalists?). The dandelion is still largely reviled by a majority contingent of lawn-loving average Joes. Dandelion greens, dandelion wine, or dandelion coffee, anyone? Likewise, the virtues of bitcoin (BCH chain) can be challenging to discover in a climate of media hype, FUD and censorship. Doing your own research requires time, a healthy skepticism of the status quo, empathy for the non-English speaking and unbanked citizens of the world, and some amount of future-facing imagination. Additionally it's tough to compete against bigger, flashier blooms like peonies and dahlias that get more attention, like the BTC chain of bitcoin. But, see #2. Dandelions and bitcoin find the cracks. Dandelions grow happily in less regulated environments such as back alleys, vacant lots, and sidewalk cracks. Dandelions hang out around the edges and off the beaten path, like bitcoin hangs out in dark markets, at least in the early days. The dandelion plant spreads relentlessly by seed and grows a long, thick taproot to anchor itself. The roots of the bitcoin cash chain go deep too (back to the genesis block). When chopped off at the flower head or ground-level, a dandelion plant will grow back, as long as a piece of the taproot remains in the soil. After flowers emerge the plants become more resistant to herbicides. Since its early days, the bitcoin network has grown to become more and more anti-fragile. As more businesses emerge (= flowers --> seeds?) 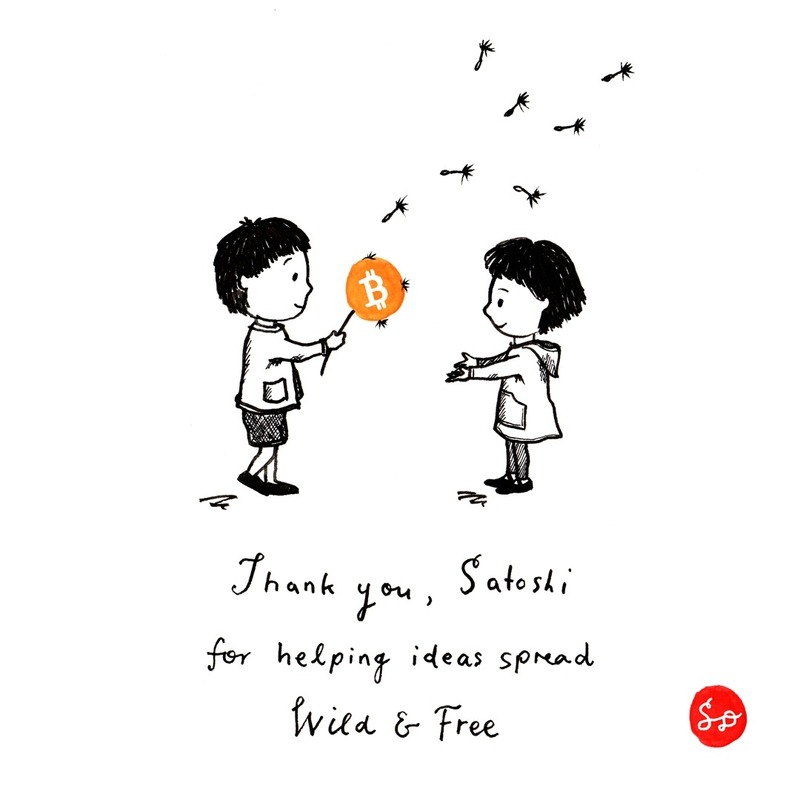 that improve the usability of bitcoin as peer to peer currency, the more its value grows and spreads. Once established, you can't easily control the spreading of dandelions (or bitcoin). “Some see a weed, some see a wish.” --?? Bees, butterflies, and other insects appreciate dandelion pollen and nectar which provide much needed food in the early spring (Northern hemisphere bias here). Goldfinches and sparrows eat the seeds. Bitcoin was built not just for the top 1%. It's for banking the unbanked. It's for spreading the opportunities for anyone to contribute ideas and participate in a new economic system (with a little help from the technology). We are all Satoshi: innovators, early adopters, and even crypto-noobs. p.s. Now is a good time to make a wish for bitcoin (cash) and do something to help it grow. This was an amazing post. I shared to my private FB account.